The Trio-Hammock is a good long term camping apparatus for 3 people to lay down on. It also serves as benches for people to sit down providing that you also erect a back rest on all three sides. All you need is a fairly large tripod, and 3 long poles to make the frame. 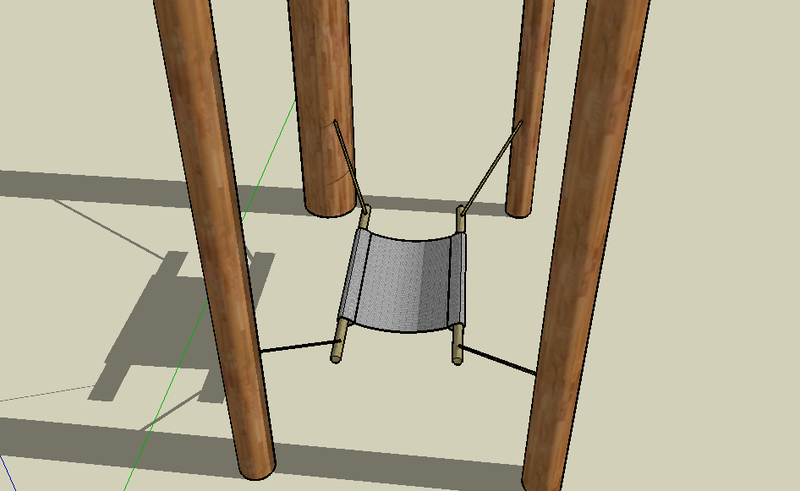 Then you tie ropes or hammocks on all three sides. You could even place a table in the center. 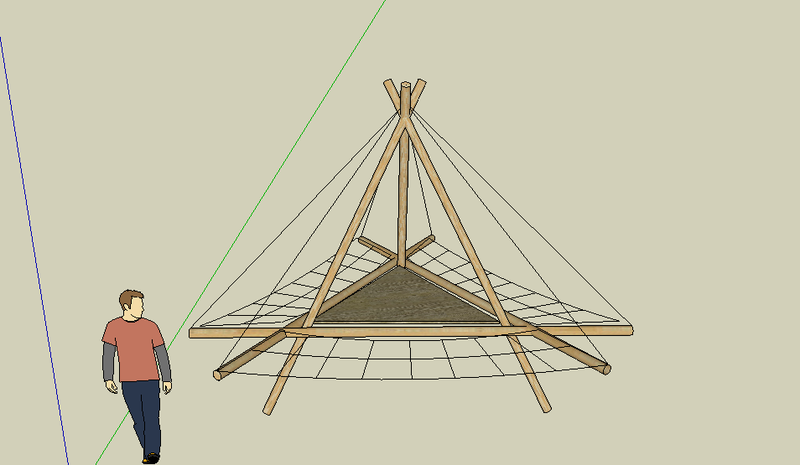 Some have even thought to put your fire-pit in the center instead, to provide heat. But I would not recommend this, because hot embers are liable to fly out of the fire-pit and burn the sleeping bags with you in it. Unless of course you had a grill lid over the fire to keep the embers in. The Stretcher Hammock is for those people who cannot sleep in a regular hammock because of it arching. As with regular hammocks, you cannot sleep on your sides. With the Stretcher Hammock, you can sleep on your sides. The downs to the Stretcher Hammock is that you must have 4 trees to tie it off. All you would need to carry into the wilderness though is the canvas and you could cut the poles while your in the wilderness so that you would not have to carry them.